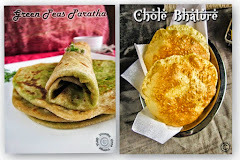 Hi friends, here is the time to post for ‘Basics of Kitchen’. Nowadays, we are making most of the store-bought things at home and it’s healthy too, Right? Another reason to try out at home, it will be demand or not available in our locations. 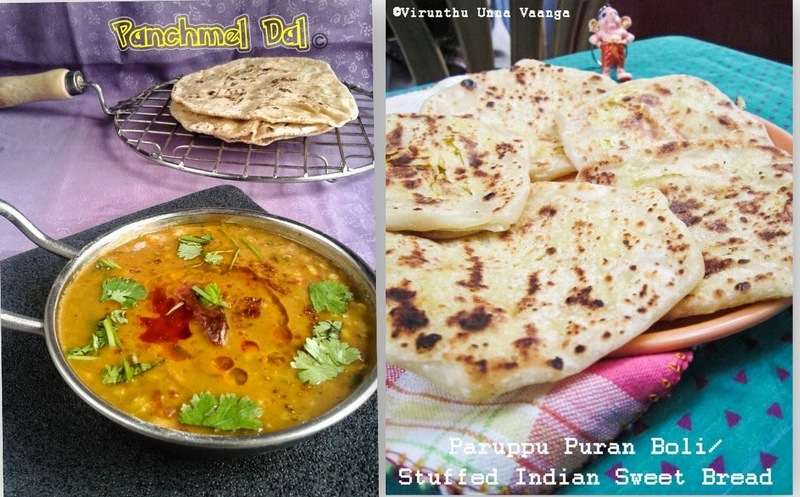 So I get interested to make home-made recipes whether it’s available in store or not. 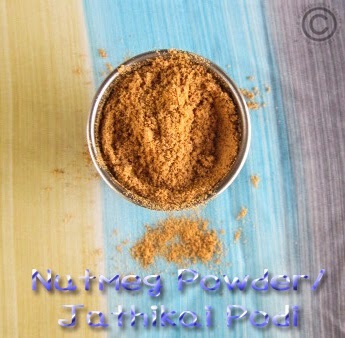 Nutmeg is also called as Jadhikkai in tamil. 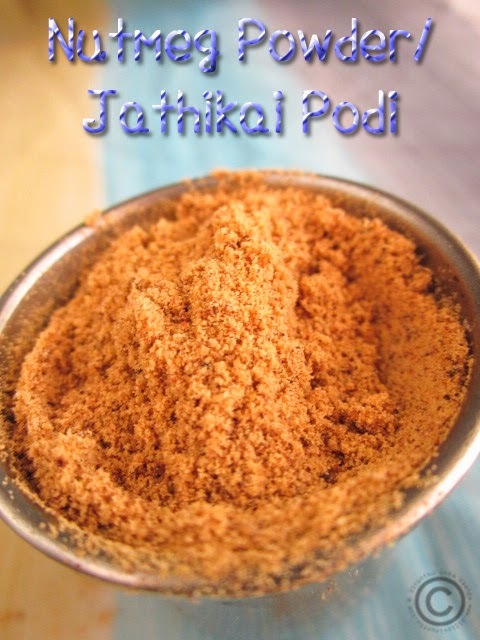 It has nice flavor and will be used in many recipes in Indian cuisine and as well as in bakes. Pinch of nutmeg is enough to make the flavor and will give unique taste to the recipes. 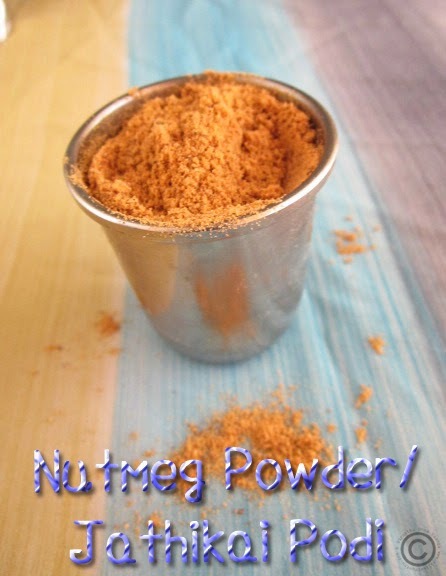 I used the nutmeg powder in my sweet pongal/Kovil sakkarai pongal, will give superb taste and flavor. You can use the powder for cakes, cookies or sweets where it needs for the recipe. But note that over dose of nutmeg is not healthy. Break the nutmeg in mortar and pestle into small pieces. Now add the nutmeg into dry mixer and pulse it for 3-5 seconds into powder. Be careful, do not blend it for long time, it will release oil in it, so it will become moisture. Sieve it and store it in air tight container. If you have more coarse powder after sieve, add 1 Tsp of sugar with it and blend it and sieve again and store it. Love the aroma of nutmeg....... Nice clicks!! Can you please ellaborate anctient tamil siddha benefits of jathikkai too?